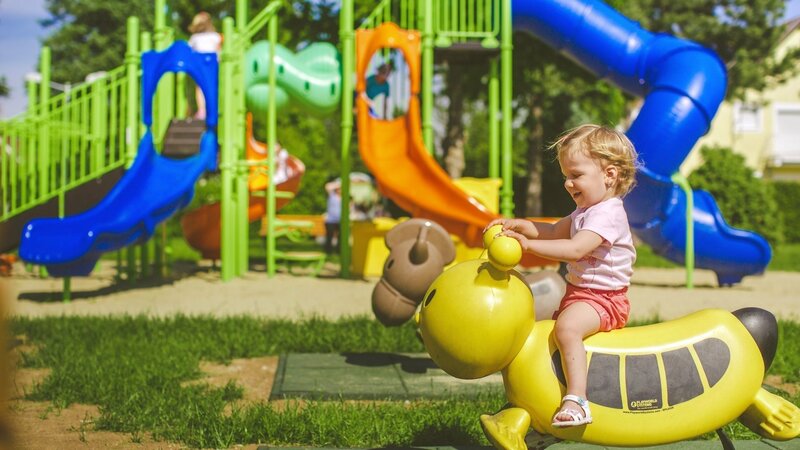 One of the most beautiful playgrounds of the spa town is situated in the Sports Park of Bükfürdő. The central element of this colourful children's world is a labyrinth slide castle but there is more: spring toys, an active motor skills developing net toy, a sandbox, cradle swings, a climbing wall and other adventures all equipped with modern safety features await visitors. In the summer months (from June to late August) from Wednesday to Saturday free sports and game animation is offered for spa guests and of course for locals, too. Healthy lifestyle and the joy of exercise is for everybody.